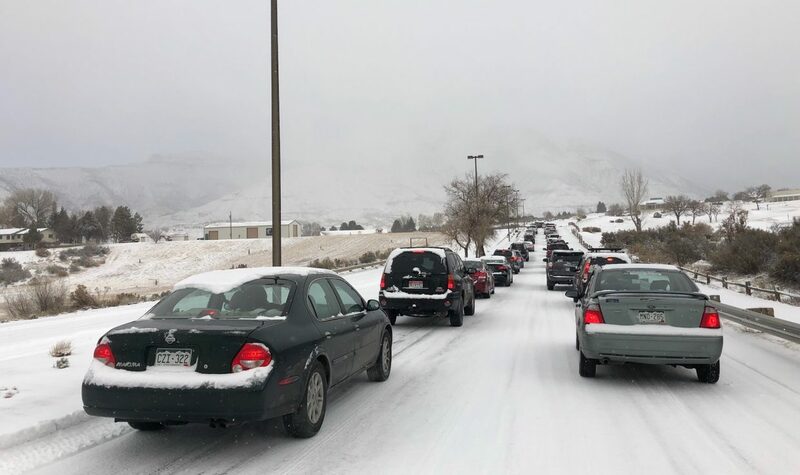 9 a.m. Monday: Motorists are reporting a major backup on Battlement Parkway, possibly due to a wreck, in Battlement Mesa headed toward the Interstate 70 interchange. Roads in the area are reportedly very slick after a morning snowfall. Traffic was reportedly moving again as of about 9:20 a.m. The Post Independent will advise when it hears that things are clear.